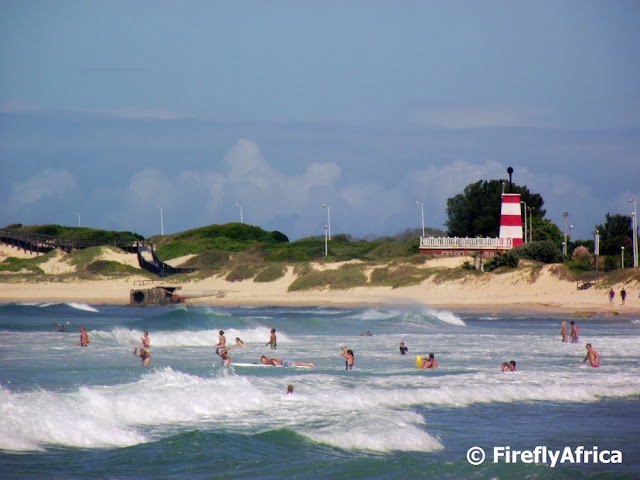 Port Elizabeth has a stunningly beautiful coastline starting with the huge sand dunes at Colchester, white sandy and safe swimming beaches on the main beachfront, a rocky shoreline along the Wildside through to the "long walk on the beach" beaches at Sardinia Bay and Maitland. There are two guided hikes on during Tourism Month where the public has been invited to join Nelson Mandela Bay Tourism and the metro's nature conservation unit in enjoying this stunning coastline. Follow the links for more information regarding the hikes along the Sacramento Trail between Schoenmakerskop and Sardinia Bay and the Roseate Tern Trail in Cape Recife. Do you remember Saturday morning sport at school? Waking up early, getting dressed and ready to go before your parents even had the first coffee? 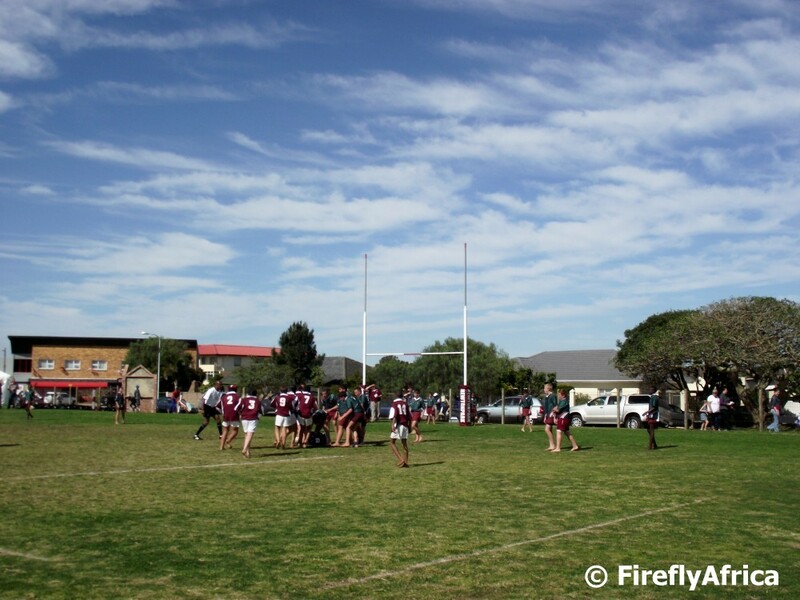 Running around the rugby field or netball court while the other kids and parents cheer you on? Those were the days (although I don't think everybody was always as enthusiastic as I remember them to be). Anyway, Drama Princess played her first netball game last Saturday and even though they were totally outplayed we shouted our lungs out. Chaos Boy doesn't play rugby but that didn't stop me from joining the rugby dads after the netball to shout for the school's u/13 team as well. Right outside the New Brighton train station stands the ruin of what clearly used to be Esitishini Cafe. Does it have any significant historical links? I really don't know and didn't pick anything up on the net. I did think that it would make for a nice picture when I saw it though. Why was I at New Brighton Station? We were busy with a recce for one of the events that we are hosting for Tourism Month at work. The public are invited to join myself and a couple of my colleagues on what we call the Sunset Township Experience. 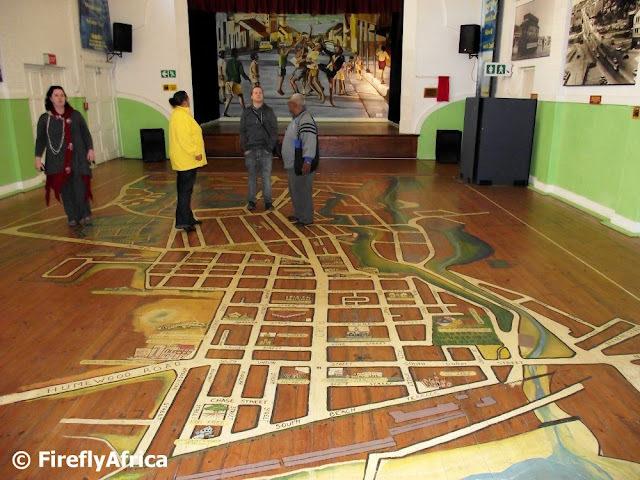 We are going to hop on the train from the Port Elizabeth Station to New Brighton and go for a walk to see some township sights and interact with the locals. We will be tasting liver fried in a black pot on the street corner, buy roosterkoek from a vendor, visit Njoli Square in the heart of the township before going for a traditional tsishe njama, ikasi style (a braai or barbecue, township style). 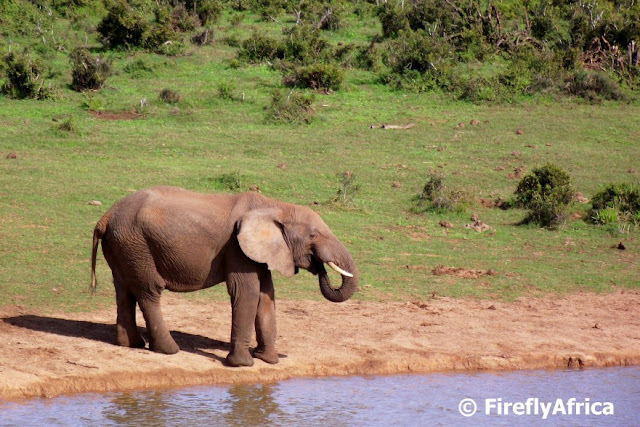 Addo Elephant National Park is such an awesome place and probably the best place in the world to view wild African elephants fairly up close from within your own car. This young bull was having a drink at Gwarrie Dam on my last visit and I kinda wish I could just plonk a camp chair next to the dam and sit and enjoy the place with him. 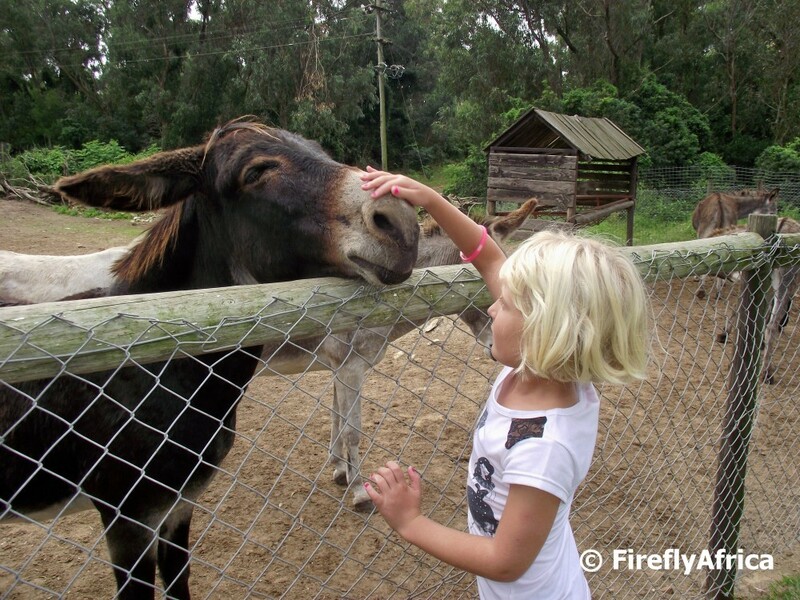 Lalibela Game Reserve is situated about 85 kilometers east of Port Elizabeth. The reserve has three lodges (Lentaba Safari Lodge, Tree Tops Safari Lodge and Mark's Camp ) and I recently had the opportunity to stay at the latter. Mark's Camp is the reserve's family friendly camp and have facilities to cater for families with small children. 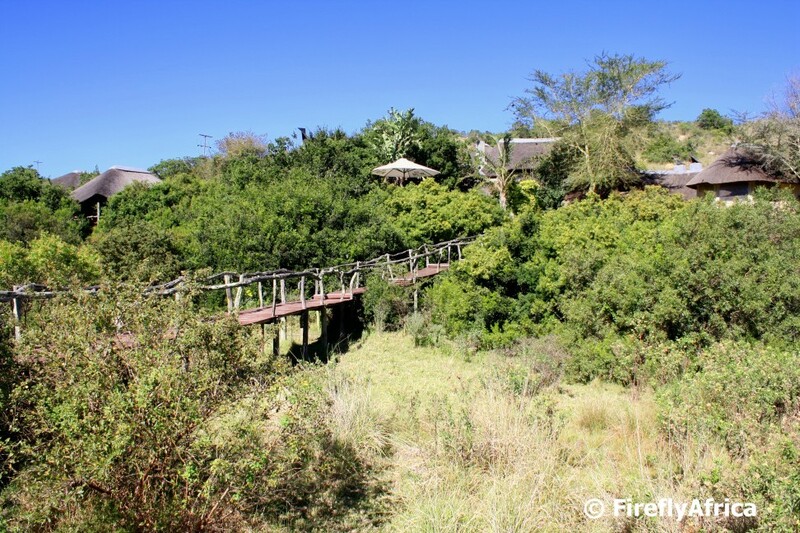 One of our favorite parts of the lodge was the pool deck next to the waterhole at the bottom of a walkway from where the picture was taken. The clubhouse bar at the Humewood Golf Club is covered in golf balls. Each and every one of these balls have been the the subject of a hole in one somewhere on the course. If you hit a hole in one the ball gets mounted on a plaque along with you name, the hole number and the date. 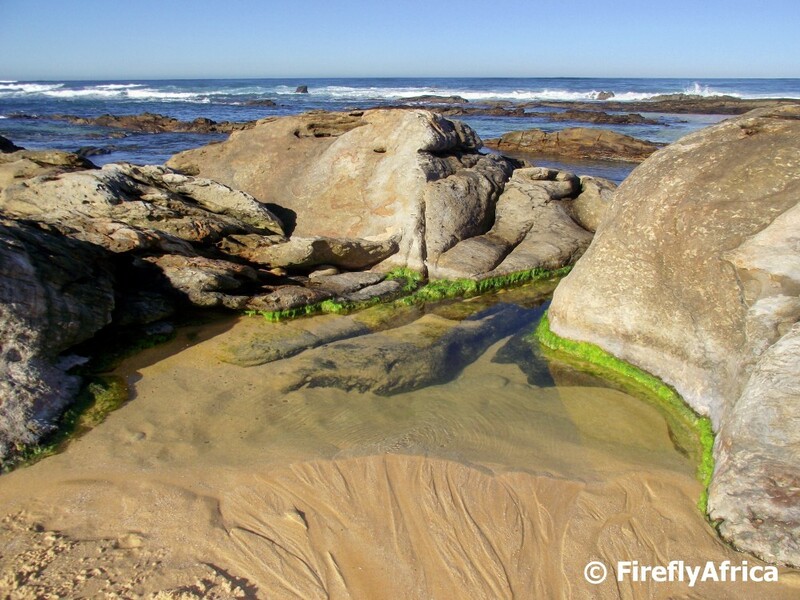 This rock pool along the Sacramento Trail gets fed with fresh water by one of the springs along this piece of coastline at low tide. 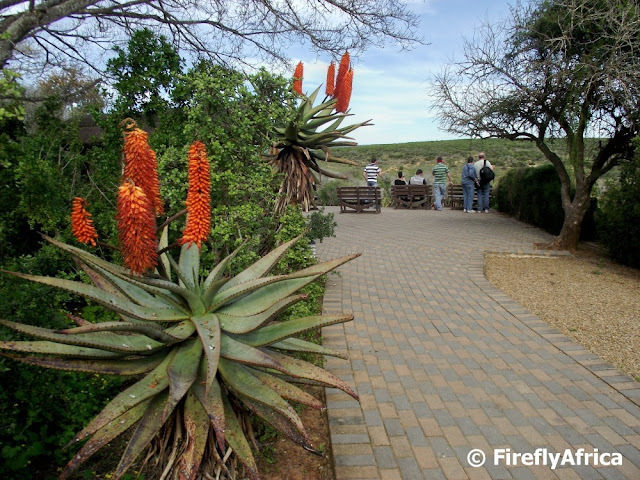 The aloes are in full bloom and where ever you go around the Eastern Cape its bright orange flowers are visible. 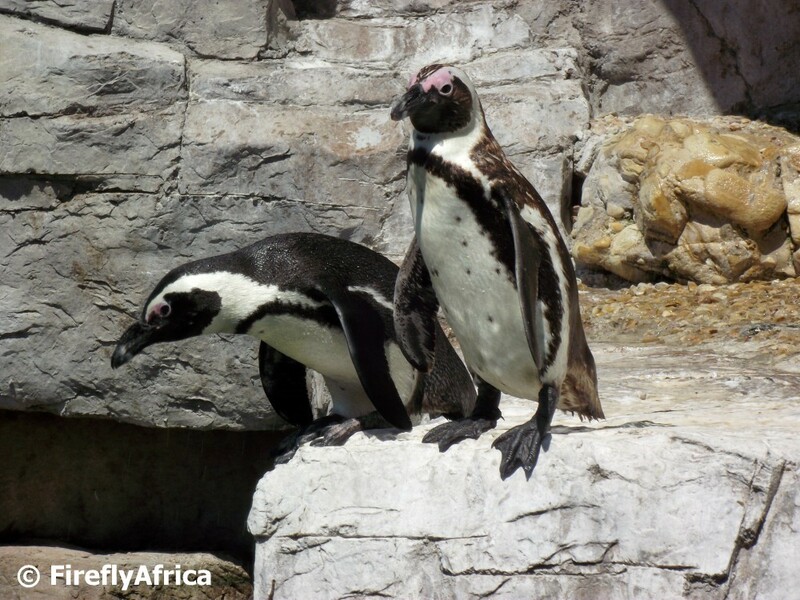 These are next to the walkway by the lookout over the Addo Elephant National Park's main camp waterhole. The Grey Institute across the road from the Donkin Reserve was completed in 1859 and housed Grey High School until 1915 when they moved to their present site in Mill Park. Since then the building housed Pearson High School (now in Summerstrand) and then the Albert Jackson Primary School. Since it was bought by the Mediterranean Shipping Company the building has had extensive renovations done to it although the historic look and feel was kept. 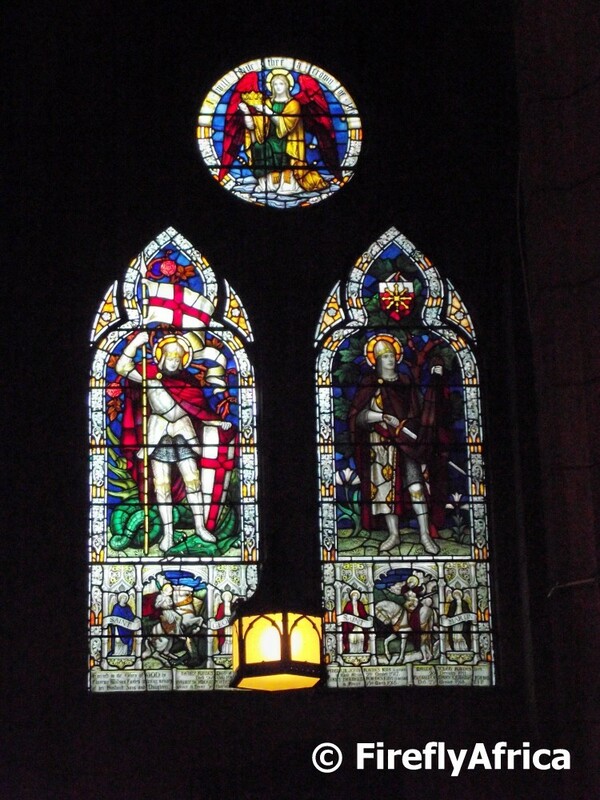 When I got to visit a little while ago work is being done on the old rectory and I really like the fact that they decided to insert the Grey High School shield into the stained glass windows. 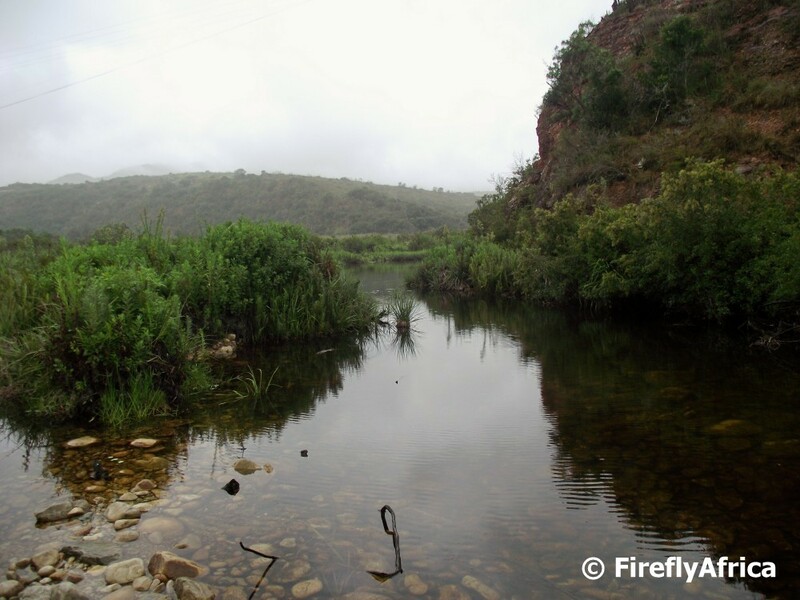 The Groendal Wilderness Area just outside Uitenhage is the ideal spot to go and loose yourself in a natural area for the weekend while actually still being fairly close to the city. Groendal is typically characterised by rugged terrain, streams and vast ravines and is surrounded by the Groot Winterhoek Mountain range. The reserve is 30 000 hectare in size and is the catchment area of the Swartkops River with the Groendal Dam being one of the water supply dams for the Nelson Mandela Bay metro. Is it just me or is it starting to get slightly warmer? I know winter isn't over just yet but its good to be able to get up in the morning without immediately grabbing a jacket. Can't wait for those lazy sunny summer days and long walks on the beach over weekends. Last week the skies above Port Elizabeth gave a stunning display of Crepuscular rays. Yes, that's the proper name for it. Usually you only get to see it for a couple of seconds or maybe even minutes, but on this day if just continued to be visible for large parts of the day. I found that there are many different names for it so doesn't matter if you call it Sunbeams, Sunburst, Sun rays, Ropes of Maui, Jacob's Ladder, Stairways to Heaven, God Rays, God's Fingers, Jesus Beams, Cloud breaks, Volumetric lighting, Buddha's Rays, Divine Light or Shafts of Light, I just call it simply beautiful. 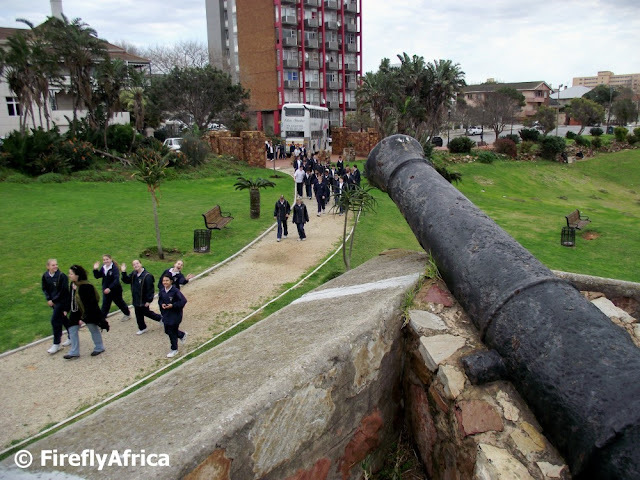 One of the stops we did with the St Dominic's Priory kids on their city tour last week was at Fort Frederick, the oldest building in Port Elizabeth. It was great to see that the fort seemed to have been cleaned up recently. Lets hope it stays that way. In my line of work I have taken tourists, tour operators, photographers and media from all over the world around this beautiful city I call home. This past week I got to do a different kind of group. 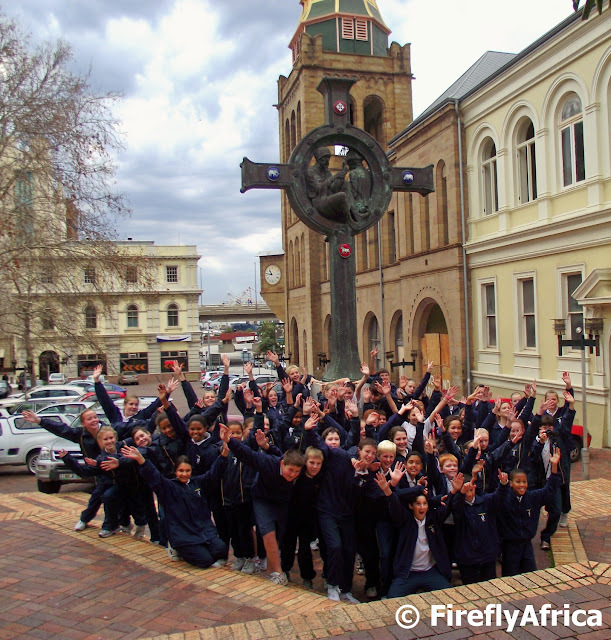 A group of grade 6 schoolkids from St Dominic Priory in the city. At first I didn't really know what to expect and was slightly hesitant but as I was asked by a very good friend I decided to give it a bash. I was pleasantly surprised by what I encountered. A well behaved bunch of kids who went to each place with enthusiasm and amazement. Some of the places we went you could clearly see that only a handful of them had been there. The oooh's and wow's when we went into the Public Library was audible and there I realised that not all kids were as fortunate as mine to have somebody take them to these places. (See Kids Adventure - Exploring PE's history). In the picture the group is posing at the Prester John Monument behind the City Hall. Overheard at the SAMREC facility in Cape Recife, "Hey Bro, do you think its safe to dive in here?" 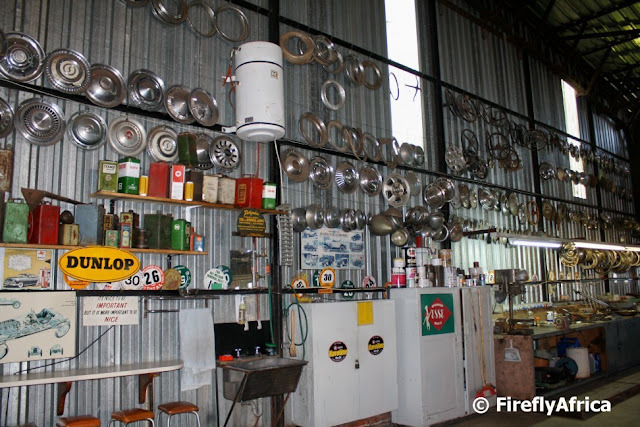 The St Croix Motor Museum is THE place to visit if you are into vintage and classic cars. I'm not the type of guy who goes gaga over cars and even I was hugely impressed when I walked in there. But the museum has more than just the actual cars. The back wall is filled with old hubcaps, steering wheels, car product containers along with badges and logos. If somebody had to give me a choice of holiday between Beach or Bush I would probably choose Bush 8 out of 10 times. Perhaps its because I live on the coast and is used to the sea, but I just love being in the bush and going on game drives. 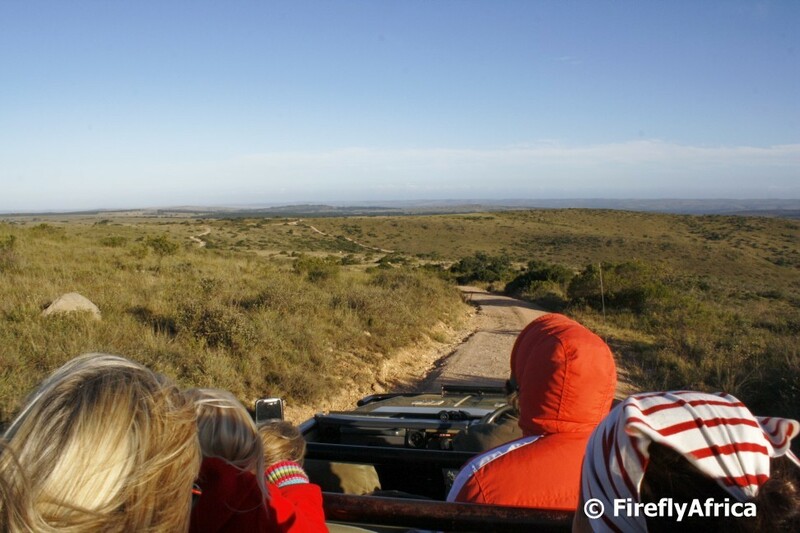 The game drive I was on in the picture was at Lalibela Game Reserve about an hour outside Port Elizabeth. 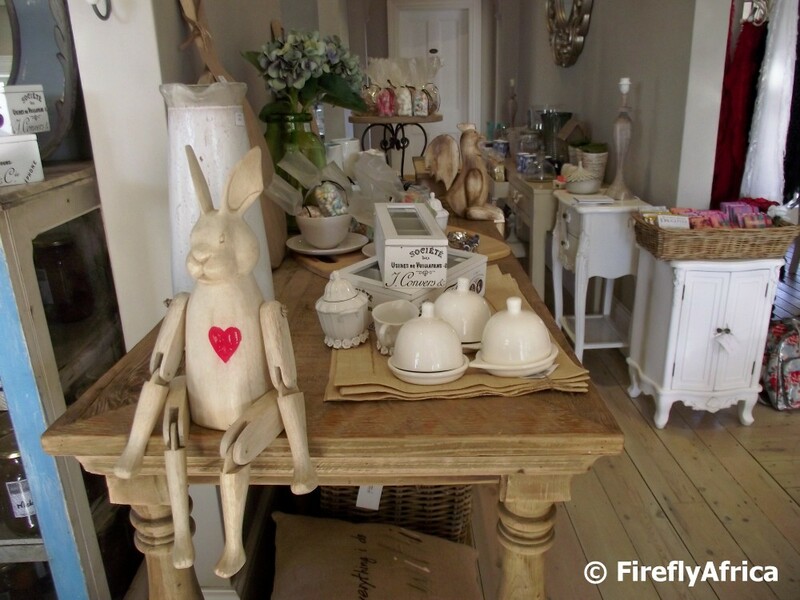 Richmond Hill has really become one of the "in" places as far as restaurants and boutique shops go in Port Elizabeth. I had a couple of minutes to spare while in the area and strolled into Decor on Irvine for a look. The first thing that grabbed my attention as I walked in was the wooden rabbit with the big red heart. Thank goodness I didn't have my wallet otherwise I would have been trying to find it a nice spot at home right now. Summer, oh Summer, where art thou Summer? Winter has been cold and wet. So very wet in fact that with three more weeks to go we already have the second wettest winter on recorded and there are more rain to come. I just thought I'll post a picture I took at Pollok Beach towards the end of last Summer for a bit of wishful thinking. Apologies once again for posting another picture which I've posted on The Firefly Photo Files before. I just haven't had the time to go though my pictures to see which haven't been posted. Having your hard drive pack up on you isn't a fun exercise. 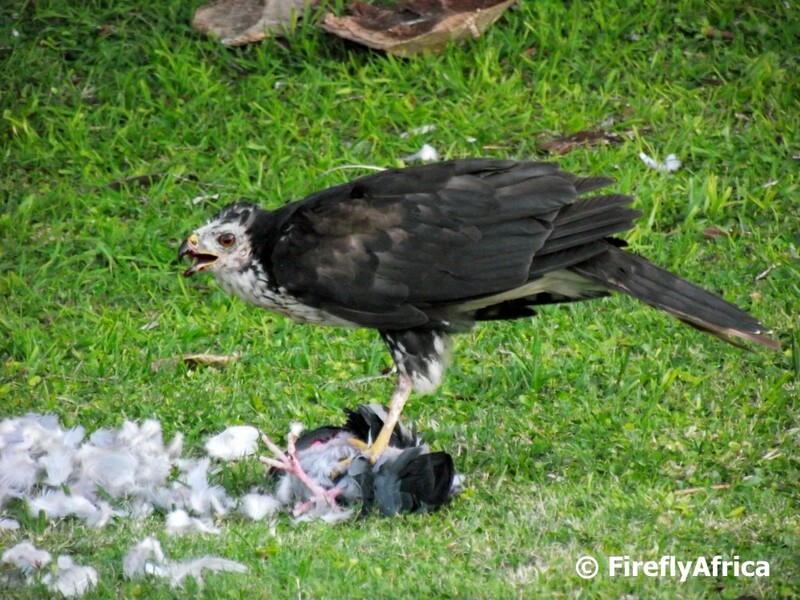 This Black Sparrowhawk surprised me the other day by having his dinner on my lawn. His dinner, one of the pigeons that live in my palm tree. The Black Sparrowhawk (Accipiter melanoleucus), is the largest African member of the genus Accipiter and occurs mainly in forests and non-desert areas south of the Sahara. They nest in large trees and has a particular liking for suburban and human-altered landscapes which explains why you get to see them around urban areas. 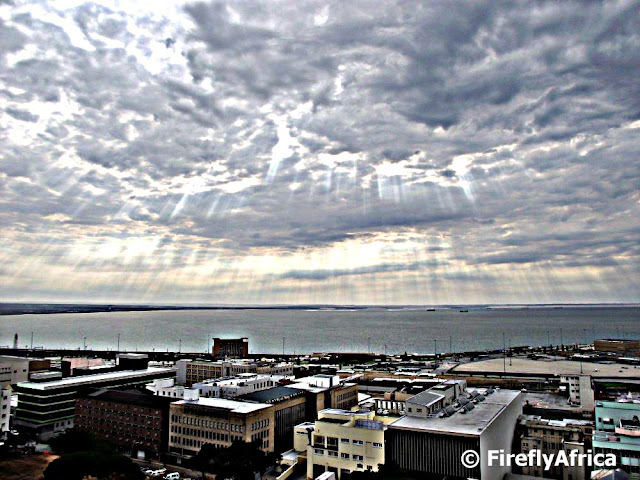 My sincerest apologies to those who follow both this blog as well as The Firefly Photo Files for the double post of this picture this week. I've had a corrupt Windows files which meant that my hard drive crashed and its going to take a little bit of time to load all the programs again and then check to see which photos I haven't posted on the blogs. Luckily all my original pictures are on my external hard drive. Phew. 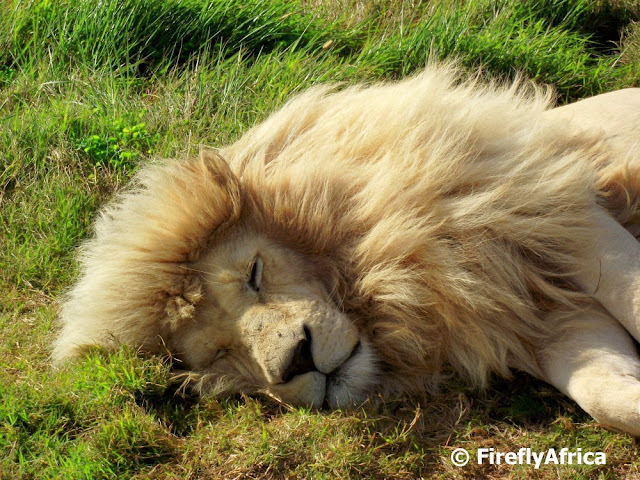 Anyhow, this big cuddle toy is Thor and he is one of the white lions which forms part of the Seaview Game and Lion Park's white lion breeding program. 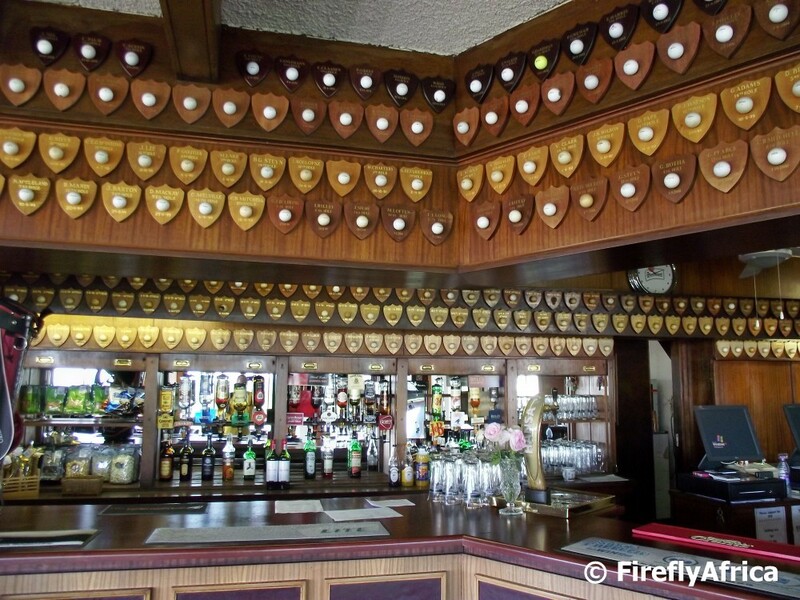 I haven't been to Seaview for a while and popped in with a Indian journalist the other day. Unfortunately for us Thor was enjoying his sleep in the sun and had no interest to get up and pose for us. 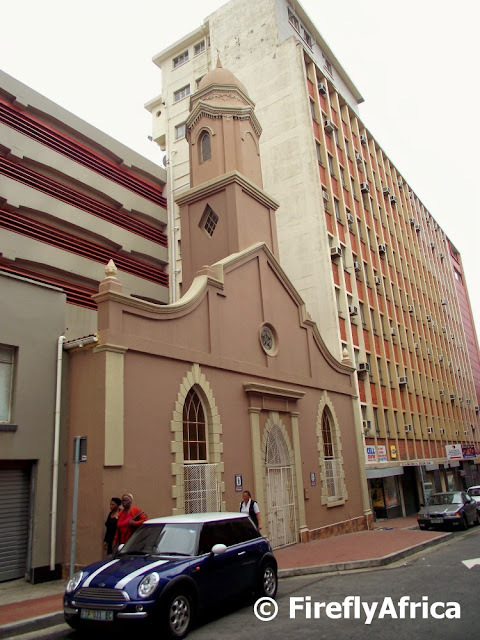 The oldest mosque in Port Elizabeth won't be found somewhere on a prominent piece of land where everybody can see it, but down on Grace Street, a side street just off Govan Mbeki Road. The Grace Street mosque or Majied-Ul-Abkbar mosque was built in 1855, making it more than 150 years old. About halfway through construction the original members of the congregation ran out of funds and it was only through the grace of the Sultan of Turkey that the building was finished. Doing a quick research on the history of the mosque I found an interesting article which appeared in the Herald in Sept 2011. It included the following story. Imam Behardien Jappie - the 12th Imam to head up the Grace Street Mosque - is a direct descendant, through his mother, of Sultan Nabier, the Kuala Lampur-born ruler of Macassar, Java and Riyah Sitta Riyah. He remembers a story which was often told by his grandmother Ragma Davids of a Malaysian king, banished to South Africa. The story goes back at least seven generations and more than 350 years. In 1652, Jan van Riebeeck arrived in South Africa and the Dutch East India Company brought with them slaves, political exiles and members of the royal family from Malaysia, Indonesia and other countries. Although the date of his arrival is not known, it is said that when the Sultan and his entourage boarded ships to bring them to South Africa and were forced to leave any personal documentation, religious literature and identification in drums next to the gangplanks. Although the Malays settled in Cape Town, which has the biggest Malay community outside Malaysia, a group later left Cape Town to settle elsewhere. Imam Jabaarudien (Ragma's grandfather), also known as Abdul Maalick or Jan Bardien was the grandson of Sultan Nabier and arrived in Uitenhage in 1815. He built the first mosque, Masjid-Al-Qudama, there in the 1840s. The Muslims that settled in Port Elizabeth had to travel through the night by ox-wagon on a Thursday to go to Friday prayers at the mosque so in 1855 the Grace Street Mosque was built in the city. A long line of Imam Jappie‘s relatives served as Imam – six of the 12 to serve at Grace Street – , among them Jappie’s great-grandfather, grandfather, uncle and father. This year (2012) Imam Jappie who was elected Imam in 1982 will celebrate his 30th anniversary in the position. In celebration of National Women's Day today I have decided on posting a picture of Drama Princess at one of her favorite attractions in Port Elizabeth. We may not hang out there often, but I try to visit the East Cape Horse Care Unit on Victoria Drive every now and then for her to spend some time with the donkeys. The ECHCU really does an amazing job assisting the people from the nearby Walmer Township with the care of their donkeys. Most of the donkeys at the centre have been brought there because they were ill or injured and the public are welcome to visit and bring along a bag of carrots to spoil them with. Security at the Port Elizabeth Harbour gets very sticky when they see a camera which means that you don't often see pictures of things happening in there. 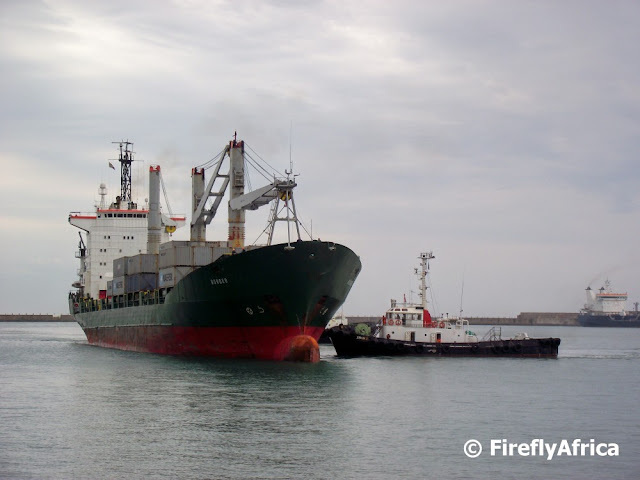 But every now and then you get an excuse to take one in which gave me the opportunity to snap one of the Port Elizabeth Harbour tugs guiding a container ship into place next to the container terminal quay. I don't know why but for some reason people don't really associate the old churches in Port Elizabeth with magnificent stained glass windows. Normally one would immediately think of the Cathedral and Commem in Grahamstown. 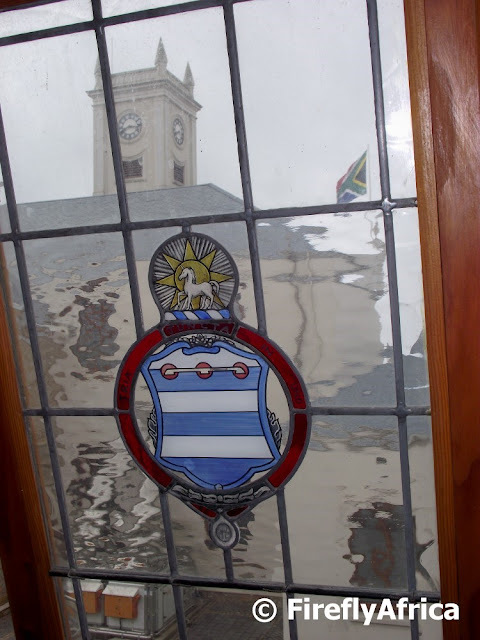 But there are a number of places in Port Elizabeth with stunning stained glass windows notably the St Mary's Cathedral, St Augustine's Cathedral and the Public Library. Some people find visiting museums and churches boring and probably never go to any of them on their travels. I know its not the most exciting thing popping into a church compared to an abseil adventure for example while on holiday, but churches and museums do have their space when it comes to a holiday itinerary. 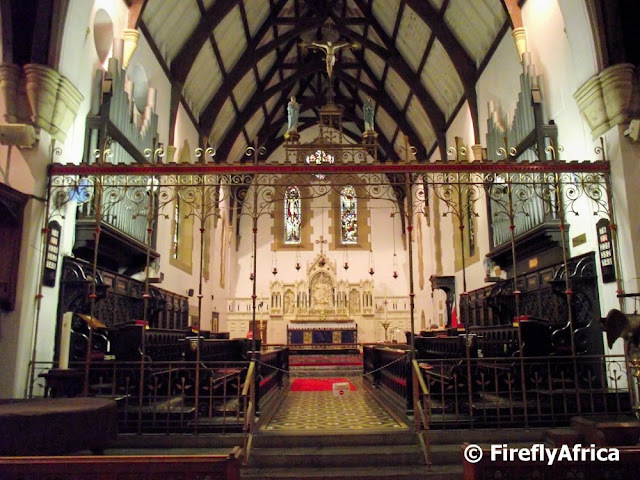 The history of old churches, like the Cathedral Church of St Mary the Virgin in Port Elizabeth, often link very closely with a town's history so by visiting them you also learn more about the town. The Collegiate Church of St Mary the Virgin was opened for worship in 1832 under the guidance of the Colonial Chaplain, Revd Francis McClelland. Probably one of the most significant things to happen to the church was the fact that the building was gutted by fire in 1895 but was quickly rebuilt. 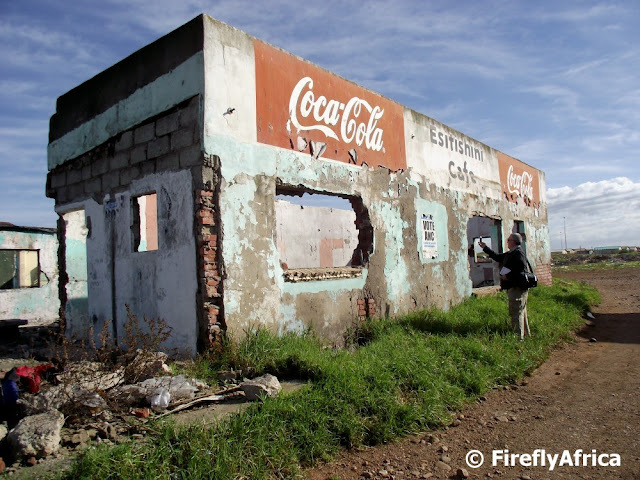 Money for the project came from all over and included people as diverse as the Cape Prime Minister, Cecil Rhodes and President Paul Kruger of the Transvaal. With the fairly recent upgrade of the market square area in front of the Uitenhage town hall, the Anglo Boer War Memorial have been moved and is now positioned a bit more prominently. The monument was unveiled in 1904 and contains the names of Uitenhage citizens who died in the Anglo Boer War fought between 1899 and 1902. 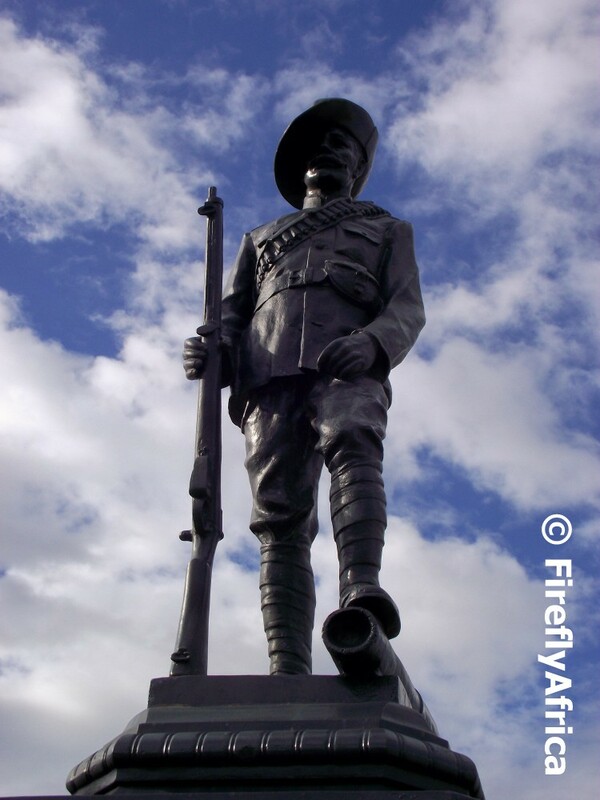 The interesting fact about the life-size soldier that forms part of the monument is that it was based on the likeness of an actual soldier who was based in King William’s Town at the time. I don't think a lot of people know that the South End Museum Heritage Trail exists. The trail starts at the South End Museum and can be done self-guided with the help of a guide book available from the museum or on a guided walk along with one of the museum's tourist guides. The trail takes in a some of the historic sites that are linked to old South End with the St Peter's Church ruins in my mind being the most prominent site on the trail. One of the most prominent features in the South End Museum is a map of what South End in Port Elizabeth looked like before the Apartheid government demolished most of the buildings and subsequently also a lot of the streets in the area. The map shows street names as well as where a lot of the prominent buildings like schools, churches, hotels and shops. Did you know that the Nelson Mandela Bay Stadium in Port Elizabeth is the only poison free stadium in the world? 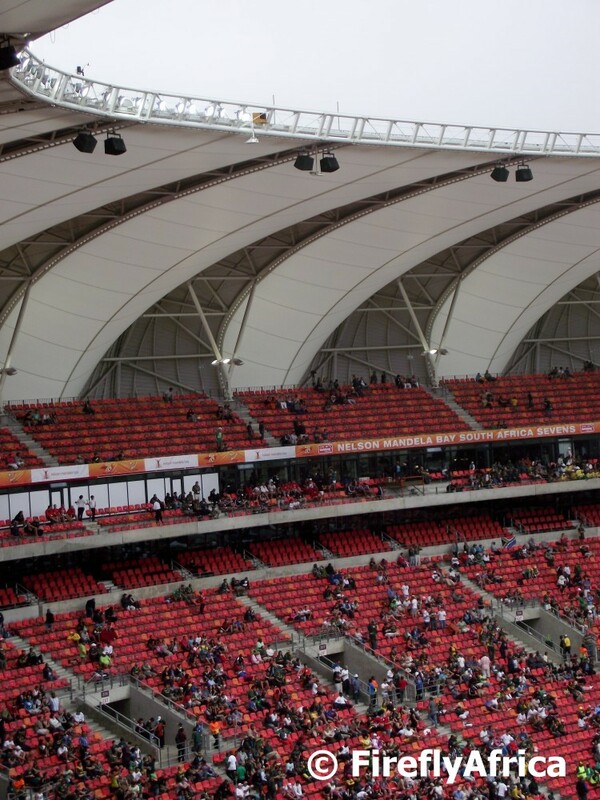 From the outset the stadium has worked hand in hand with the Urban Raptor Project to fight the potential problems of feral pigeons, crows, rats and insects in a natural way. Trained falcons have been brought in from time to time to chase and hunt the pigeons that try to move into the stadium. 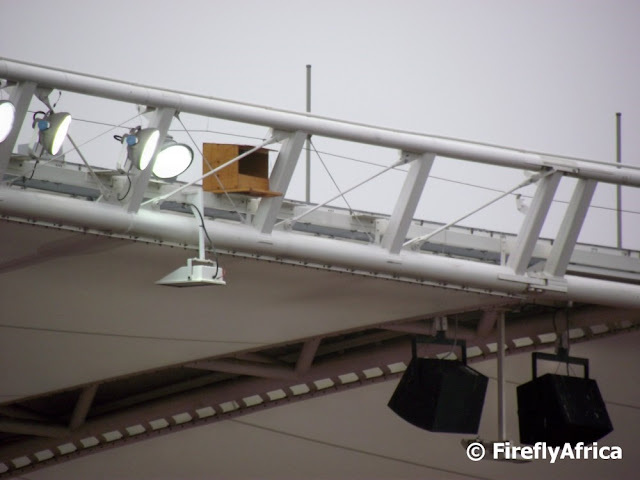 A while ago I attended a rugby tournament at the stadium when one of my friends pointed out the raptor nest box on top of the stadium roof. The boxes were put up to attract rock kestrels with the hope that they would move in and also keep the potential pigeon and rodent problems under control. Looking up at the box I noticed a kestrel come out of it and fly off, later circling above the stadium just to return to the box. What an awesome and innovative way to fight pests without poison. I read on the Stadium's website that they also had plans to introduce a pair of captive bred Spotted Eagle owls into the gardens around the stadium. I'm not sure if that has happened but I really commend them for the fantastic initiative. 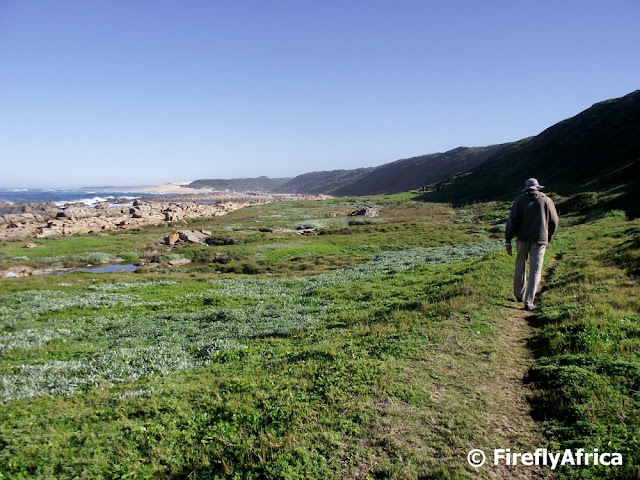 The Sacramento Trail along the coast between Schoenmakerskop and Sardinia Bay isn't just the most popular trail in the city but probably also one of the most scenic. A couple of us decided to do the 7km long trail the other day with only myself having done it (long ago) previously. 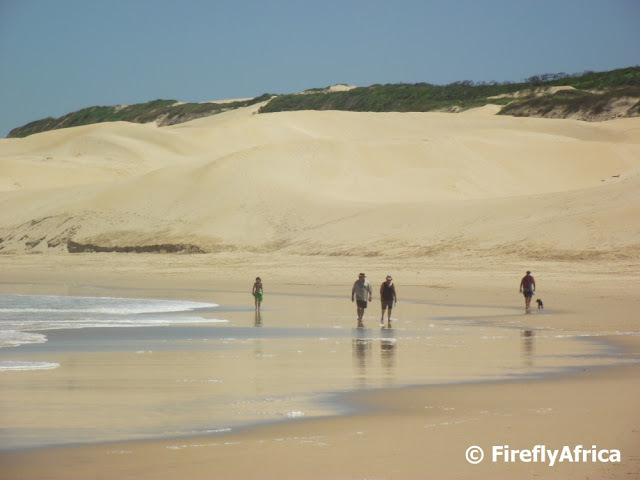 We decided to take the trail along the shore from Schoenies and then turn up to the top trail along the vegetated dunes back from Sardinia Bay. The reason we decided to do it this way was for us to walk two different routes and get an overall picture of what there is to see on the trail. And believe me, we weren't disappointed. The first half of the trail follows the shoreline with us walking on a path just above the rocks as well as on the beach itself. We made our turn at the lifeguards' clubhouse and headed up to the top trail. The views from the top is absolutely breathtaking looking down onto the coastline. 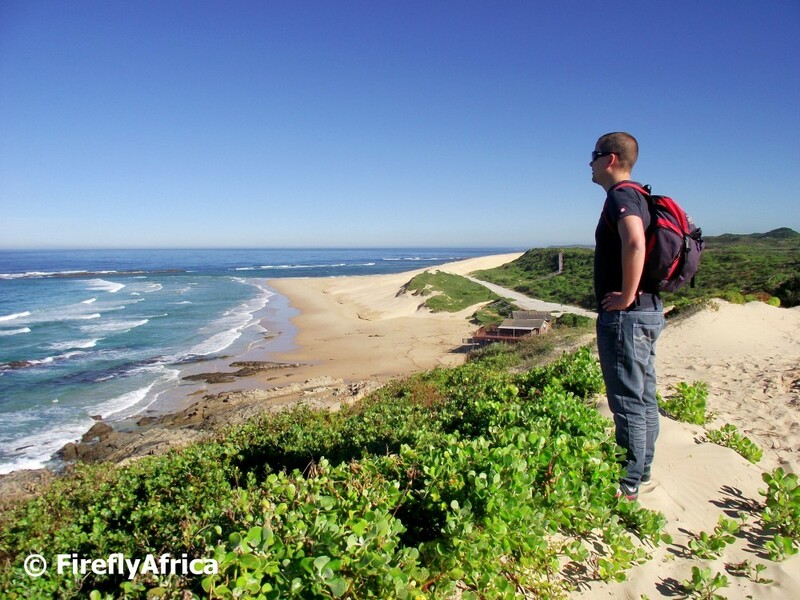 Port Elizabeth really is fortunate to have such a magnificent trail right on our doorstep. My recommendation is to do the trail early morning before it gets too hot and then go for breakfast at the Sacramento Restaurant in Schoenmakerskop. Follow the trail on Google Maps.